Recently we have seen more big name handsets manufacturers beginning to offer smartphones that have Dual-SIM capabilities, which was once only reserved for feature mobile phones from the likes of Nokia. Such handsets have always been popular in emerging markets, but more consumers also want to have access to similar devices in other regions, and today we have news of the HTC Dual-SIM Desire SV that has been announced for India with some worthy specs. HTC announced the device today at an event in Singapore, and as Tech 2 are reporting the device features a dual core processor powering a 4.3-inch touchscreen, as well as an eight megapixel rear camera. HTC revealed a couple of Dual-SIM handsets last month for China, and Samsung has the Galaxy S Duos on offer. The spec list for the device includes a 4.3-inch LCD 2 display with a resolution of 480 x 800, Beats Audio, Bluetooth 4.0, 3G, Wi-Fi, and 4GB of on board storage that is expandable thanks to the microSD card port. According to the company the dual core processor clocked at 1GHz will help the device offer user’s speedy viewing of videos, web browsing, and using apps. The device also has 768MB of RAM, and the handset will come preloaded with apps such as Microsoft Exchange, and Office Suite. 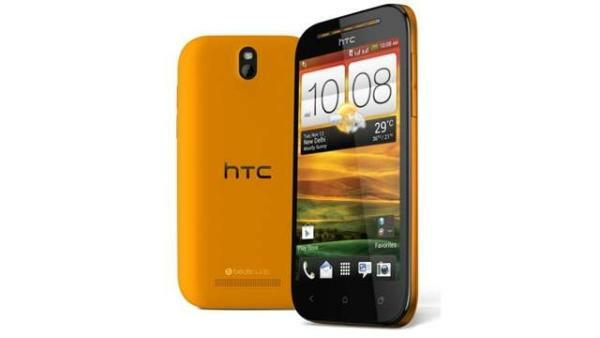 The HTC Desire will be released running the Android Ice Cream Sandwich operating system, but HTC has promised to upgrade this to Android 4.1 Jelly Bean in the future. HTC is pushing the device as ideal for those that want to use it for business and personal use thanks to the dual SIM’s, and would also be ideal for when users are travelling and want to avoid expensive roaming charges. HTC is claiming the handset camera that uses an f/2.2 autofocus lens and LED flash will provide images with great detail, and the BSI sensor will help with taking photos in low light conditions. Users will also be treated to 25GB of free Dropbox storage for two years, and the Desire SV will be available in either Stealth Black or Radical Yellow for Rs 22,590 this month.